The Lumia 435 is the most affordable Lumia to date and will be available for RRP$129. This is of course if you don’t find a discount 630, for under $100, but the new low end lumia now includes a front facing camera. 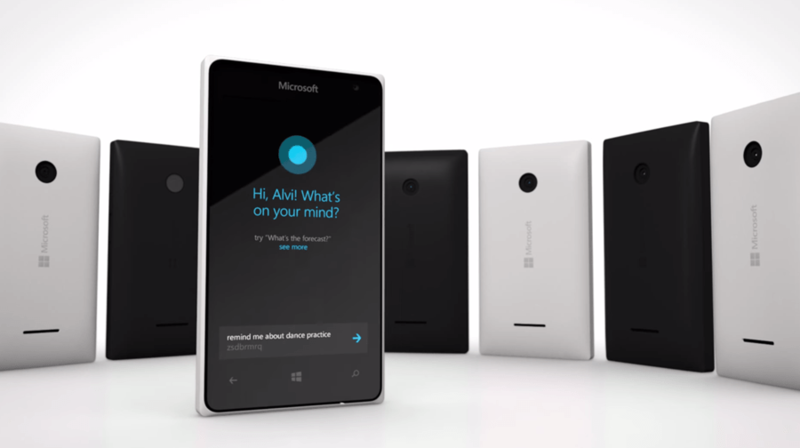 As the first 400 series Lumia, the Lumia 435 builds on the success of previous affordable Lumia handsets by offering personal voice assistant Cortana, which Microsoft are calling an alpha release. Buy this device and you’ll also get 30GB of OneDrive storage. This enables access to all your files anytime, anywhere and Skype comes pre-installed, to enable IP-based calling straight out of the box. Priced at just RRP$149, the Lumia 532 brings premium smartphone experiences to a broader range of people. Punching well above its weight, the handset boasts the latest Windows Phone 8.1 software with the Lumia Denim update, a 5 MP camera and a quad-core processor at a very competitive price point. Building on the success of the Lumia 530, the Lumia 532 is a powerful smartphone that encourages productivity with the best of Microsoft and Lumia features. These include: a premium layered design, Glance screen, front facing camera and expandable memory. Microsoft continues to drive innovation in a broad range of smartphones to encourage productivity and help people accomplish more on the go. The devices offer an affordable gateway to rich services, including the full Microsoft Office suite pre-installed and access to more than 500,000 apps in the Windows store. “Innovation is for everyone, and we’ve consistently worked to bring meaningful innovation to even more accessible price points,” said Steve Lewis, General Manager of Microsoft Devices in Australia and New Zealand. “The Lumia 435 and Lumia 532 appeal particularly to those looking to buy a smartphone for the first time, both incorporating an operating system that is intuitive and deeply personal,” continued Steve. “With the launch of these devices we are bringing more consumers the best of Microsoft by providing all the core smartphone features, the latest Windows Phone software, hundreds of thousands of apps and Microsoft’s industry-leading services – all at an incredible price,” Lewis concluded. Multi-task seamlessly between websites, leading apps and games, with a 1.2GHz Dual Core processor and 1GB of on-board RAM providing all the power needed. Switch effortlessly between voice and video calls with built-in Skype integration and a front-facing camera. Read, review, edit and share on the go with the full Microsoft Office suite pre-installed. Keep your photos, videos and Office documents safely backed up with 30GB of free OneDrive cloud storage, meaning they are available wherever you are and whenever you need them. Meet Cortana alpha, the most personal of virtual assistants, who anticipates your needs and makes tailored suggestions as a result. Easily manage work and personal correspondence on the fly, with Microsoft Outlook straight out of the box. Capture photos quickly and easily with Lumia Camera right out of the box, and take, edit and share great selfies with the front-facing camera and Lumia Selfie app. Have your Start Screen your way with the latest version of Windows Phone 8.1 and the Lumia Denim update, complete with one-swipe Action Centre, Word Flow and Live Folders. Stay up-to-date with the best new features through regular Windows updates. The Lumia 532 will be available in Australia with Optus (exclusively in white) from early March. Telstra will release the Lumia 532 in black via Big W and Woolworths. The launch of the Lumia 532 and Lumia 435 also marks the introduction of the first Dual SIM Lumia devices to Australia. The Dual SIM variants will be available from major retailers including Harvey Norman and JB Hi-Fi from early March, in black, orange and green colour variants. Keep your photos, videos and Office documents safely backed up with 30GB of free, OneDrive cloud storage, meaning they are available wherever you are and whenever you need them. Capture photos quickly and easily with the 5 MP Lumia Camera right out of the box. 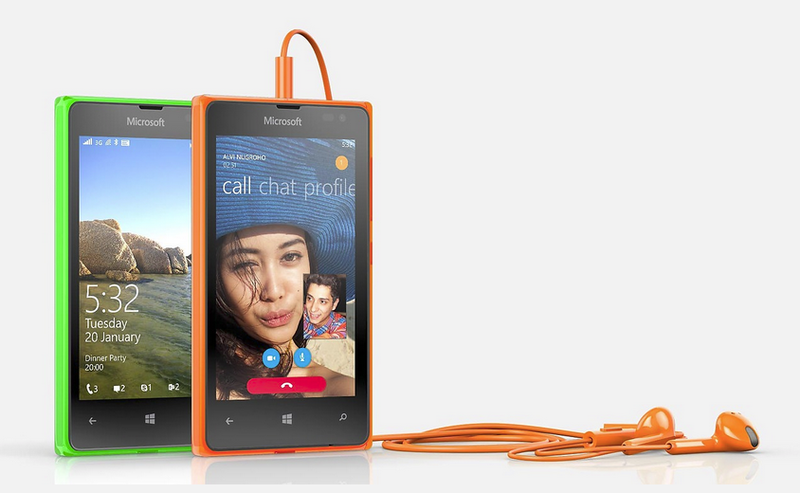 Take, edit and share great selfies with the front-facing camera and Lumia Selfie app.